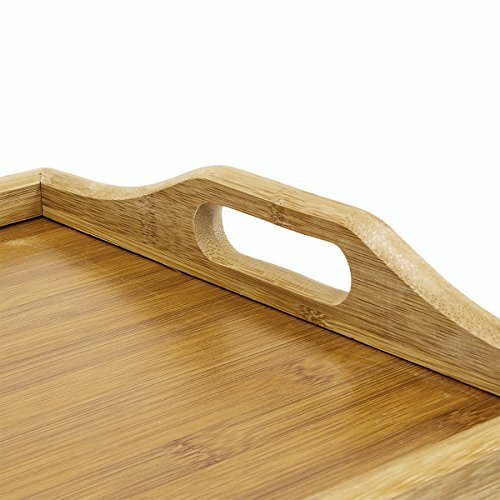 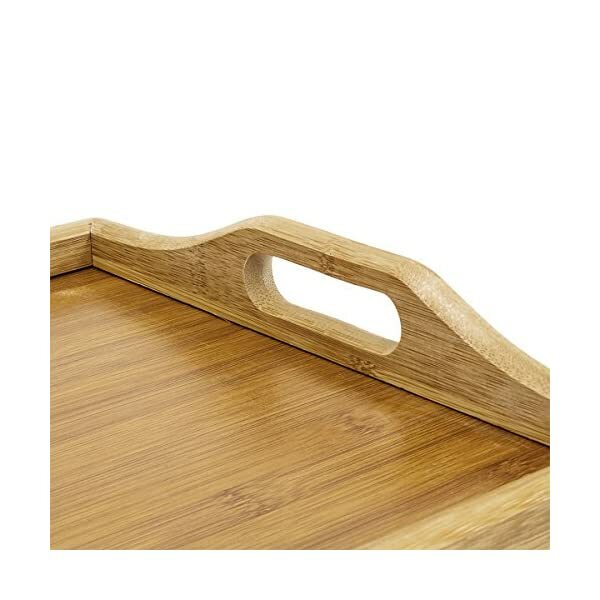 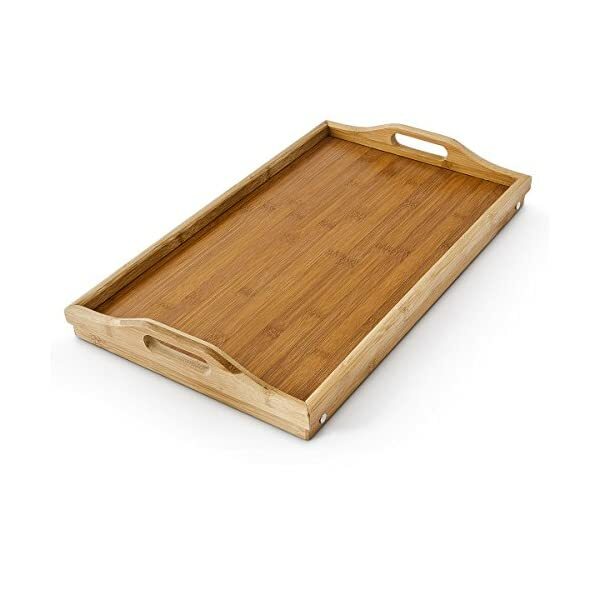 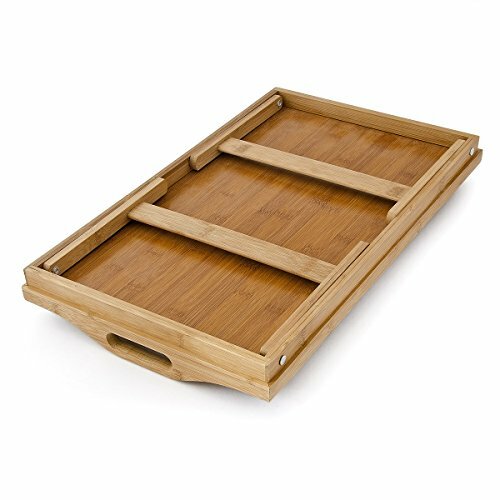 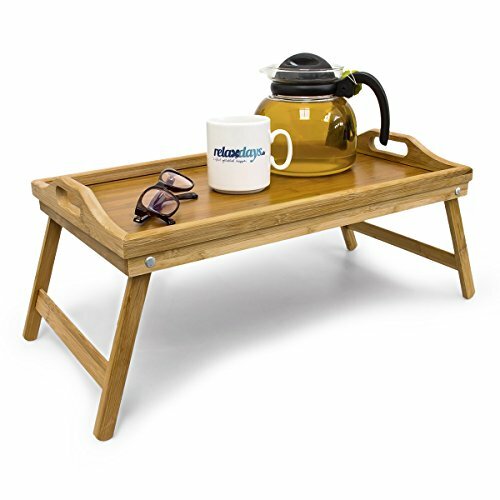 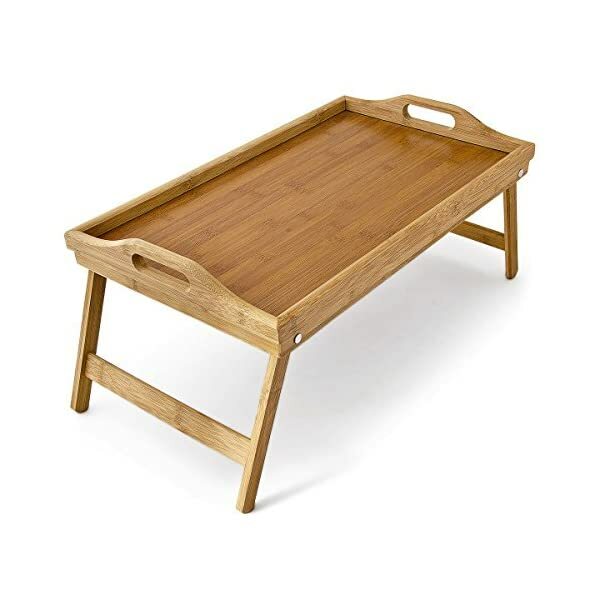 This bamboo breakfast tray gives you portable space for anything you might need for breakfast and allows you to enjoy it wherever you want! 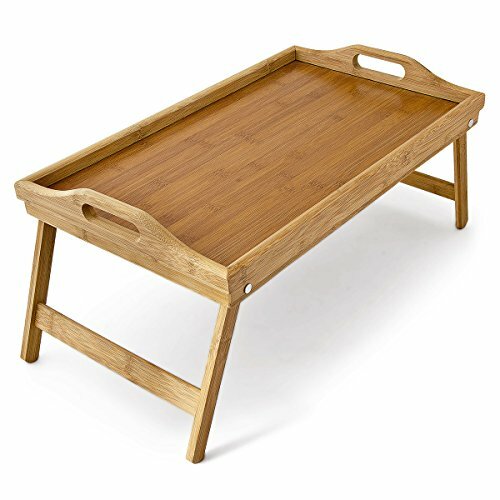 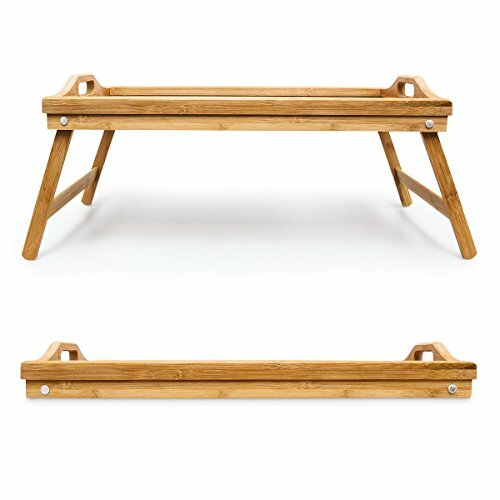 You can even fold in the legs and use it as a normal serving tray. 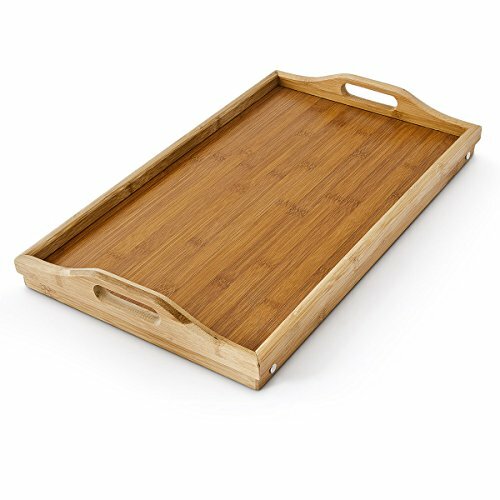 Depending on the size of your dishes, the tray can fit approximately one large and one small plate and two glasses or cups. 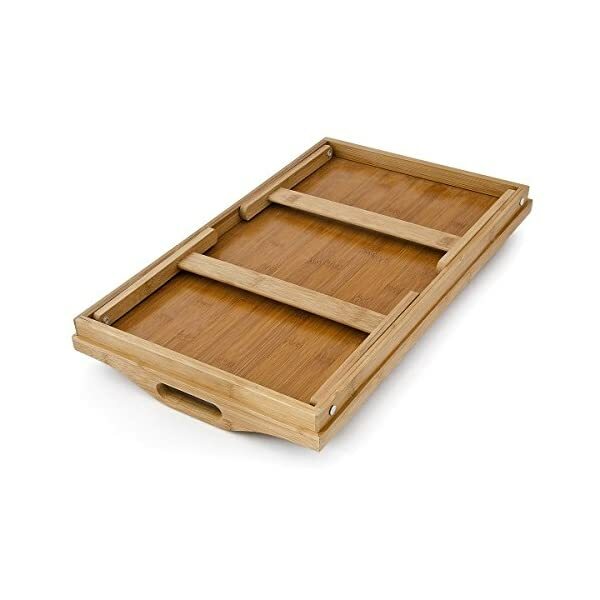 When you unfold the legs you can enjoy breakfast without the weight of the tray on your legs. 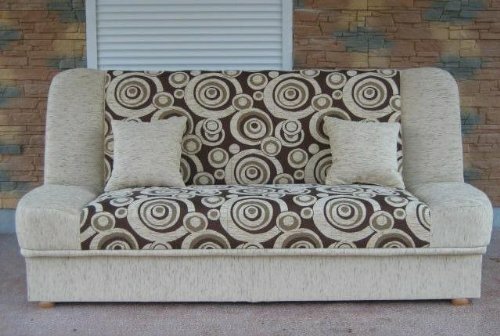 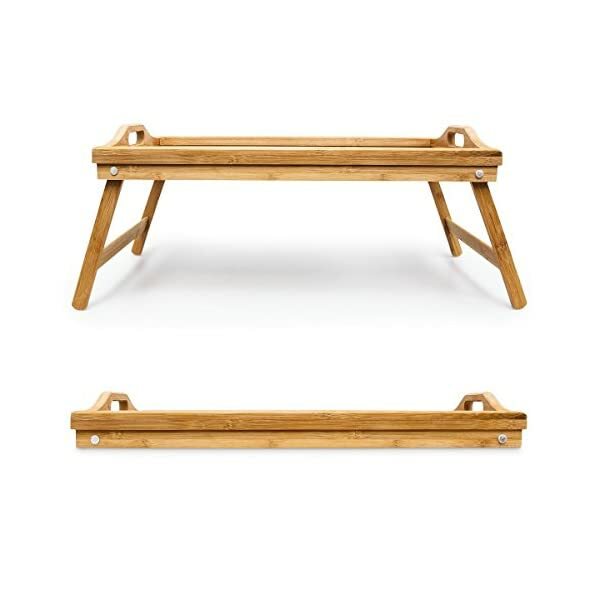 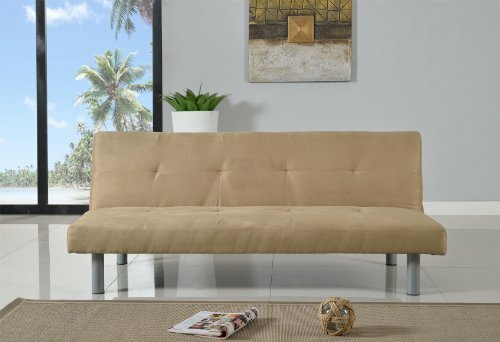 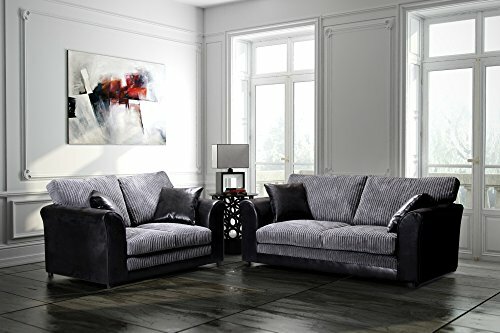 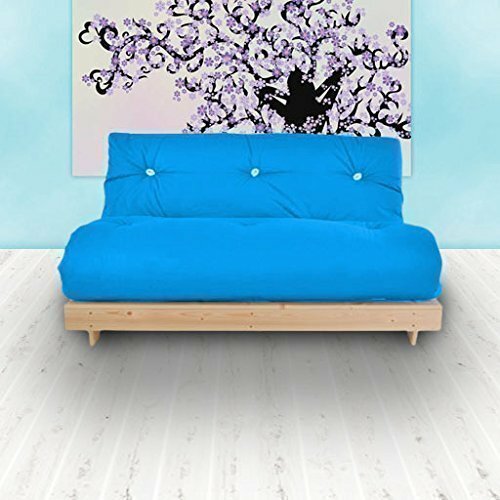 It can stand sturdily on soft surfaces and gives you plenty of room to move around. 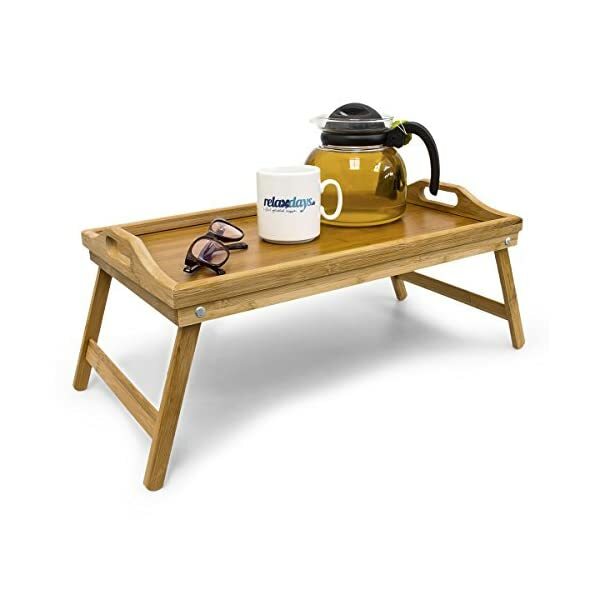 Surprise your loved one with a cosy and romantic breakfast in bed!